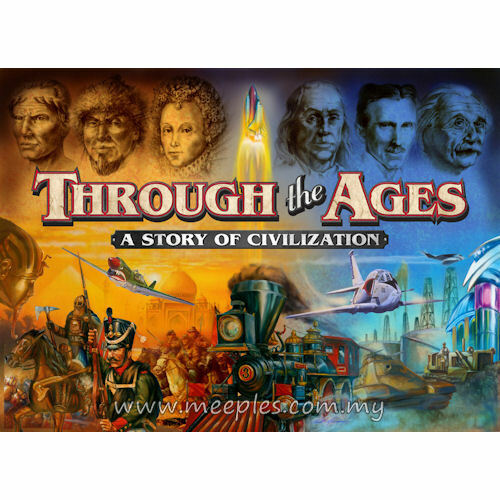 Through the Ages is an exciting game of strategy and resource management. 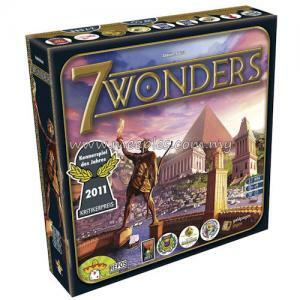 Players guide their civilizations up from Antiquity, through the Middle Ages, and into Modern Times. What will your civilization be like? Will it be warlike? Technologically advanced? Religious? Artistic? 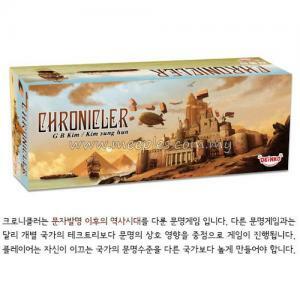 Choose from Leaders such as Hammurabi, Napoleon, and Gandhi. Build the Pyramids, the Great Wall, or the Eiffel Tower. 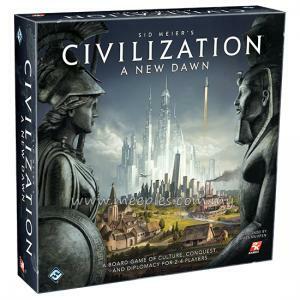 Your Civilization's culture is yours to shape - and you can do it differently every time you play the game. 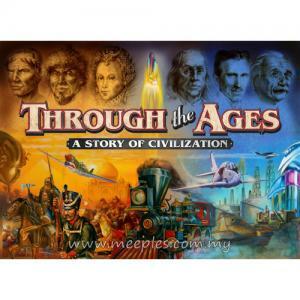 Through the Ages is playable in three different difficulty levels. Play the short Tutorial Game to learn the game mechanics. 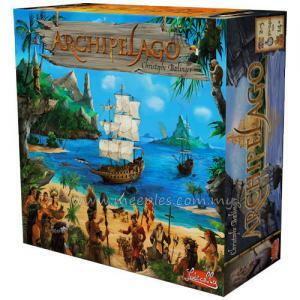 Play the Advanced Game when you are ready to face the consequences of politics and corruption. 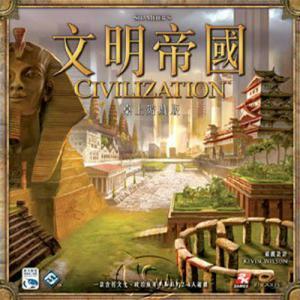 When you want an even greater challenge, play the Full Version and take your civilization from spear-throwing to space flight. Is This Game For You? 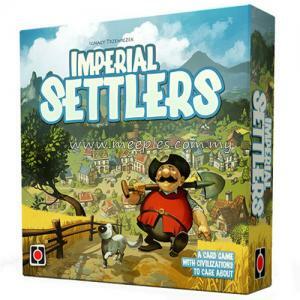 My wife often comments to the buggles (non-boardgaming community) about the strangeness of bggs (boardgamegeeks) and why they find torturing their brains an enjoyable pastime when life as it is, is pretty taxing on the brain cells. Whilst her statement might be leaning on the side of over-generalization, it is particularly true for Through The Ages. To truly appreciate the design of this game requires you to actually enjoy putting your mind through the Olympic 40,000m marathon with hurdles. Not to put you off, but you should know that you are investing into a heavy game for which there may not be as many gamers out there who enjoy this particular flavour of coffee. 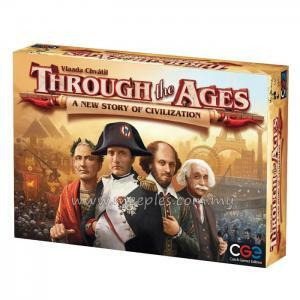 Nevertheless, Through The Ages is thoroughly enjoyable even with only 2 Players, and in fact may be best played with only 2 Players. So if you can find someone who enjoys civilization building, youâ€™re in for some really fun times.